Childhood's End Gallery features contemporary Pacific Northwest fine art & fine American craft with work by regional & national artists. The store is devoted to beautiful art made in America and offers a wide variety of choices for unique corporate gifts, personal gifts, functional crafts and home decor. 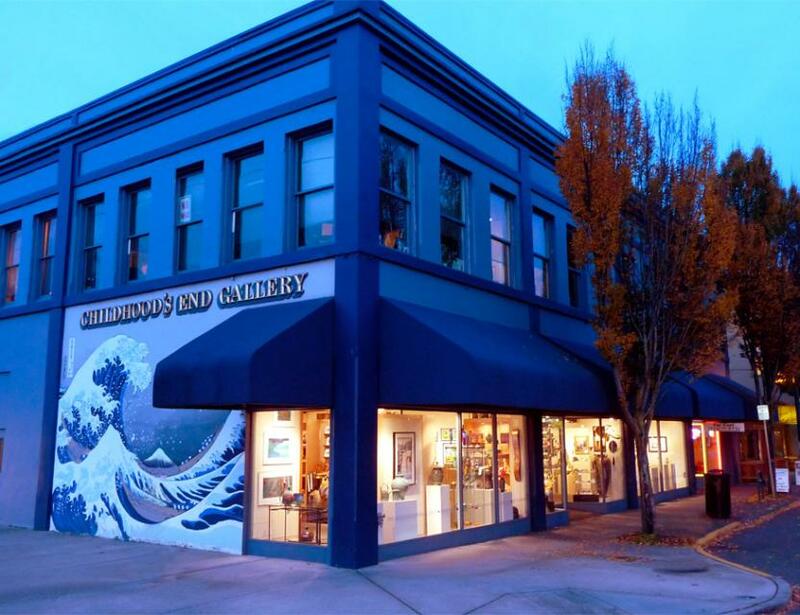 Their focus is on fine art, art glass, jewelry, ceramics and woodwork. They have devoted their efforts in more than 40 years of business to exhibit work that is made in the USA by American artists and craftsmen. Each piece is instilled with the spirit of the artist who created it.